No higher education administrator wants their campus to be the site of the next active shooter incident and realistically, you cannot absolutely prevent such incident from taking place. But you can do important work to ensure that you are prepared if a threat does happen. You want to be certain that your team knows how to respond at every stage of a violent incident on your campus. This free white paper addresses threat assessment procedures and includes eight steps from the Secret Service’s report to help you create and beef up your comprehensive targeted violence prevention plan. 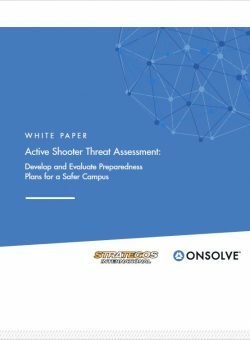 You’ll get sample templates for your text, email and voicemail messages during an active shooter incident and most importantly, suggestions about how to evaluate and improve any plan to reflect best practices in threat assessment and crisis preparedness.